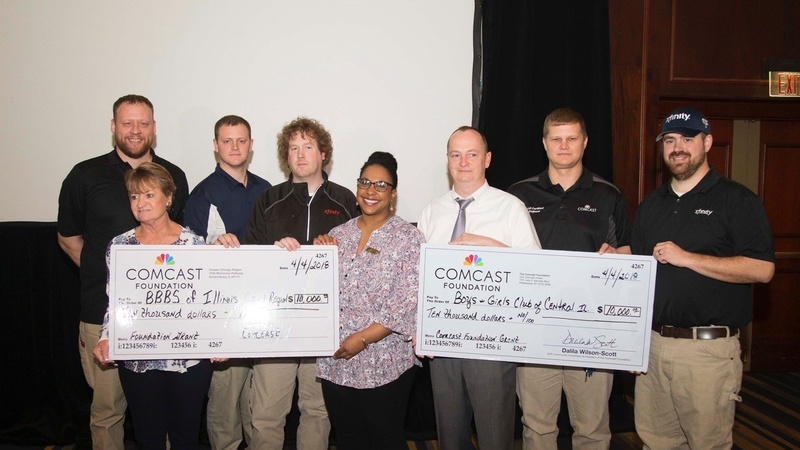 April 4, 2018 – Comcast gave $10,000 grants today to two Central Illinois community-based organizations, Big Brothers Big Sisters of the Illinois Capital Region (BBSICR) and the Boys & Girls Clubs of Central Illinois (BGCCIL), to help them carry out their missions to help young people reach their potential. BBBSICR will use the funds to support its mentoring programs, which matches adult volunteers (“Bigs”) with children (“Littles”) ages six through 18 – the goal is to develop the matches into positive mentoring relationships that have a direct and lasting effect on littles’ lives. BGCCIL will use the funds to support its My.Future program, a digital platform that teaches club youth digital literacy skills, ranging from internet safety, typing and Web searches to media collaboration and gaming. Mia Woods, BBSICR Executive Director, and Bill Legge, BGCCIL Executive Director, were on hand to accept the donations. Big Brothers Big Sisters of the Illinois Capital Region is dedicated to helping children reach their potential through one-to-one relationships with mentors that have a measurable impact on youth. 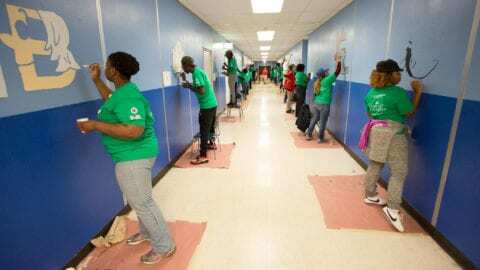 The Boys & Girls Clubs of Central Illinois’ mission is to inspire and enable all young people to reach their full potential as productive, caring and responsible citizens. Comcast Corporation (NASDAQ: CMCSA) is a global media and technology company with two primary businesses, Comcast Cable and NBCUniversal. 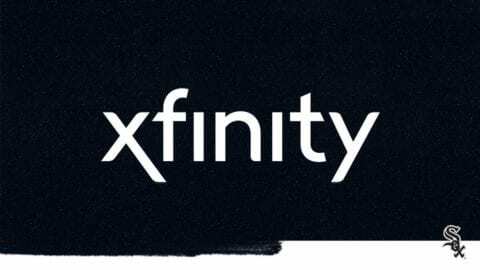 Comcast Cable is one of the nation’s largest video, high- speed internet and phone providers to residential customers under the XFINITY brand and also provides these services to businesses. NBCUniversal operates news, entertainment and sports cable networks, the NBC and Telemundo broadcast networks, television production operations, television station groups, Universal Pictures and Universal Parks and Resorts. Visit http://comca.st/2Gzmmql for more information. 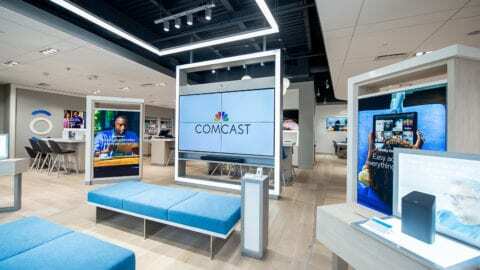 With nearly 7,000 local employees, Comcast’s Greater Chicago Region (https://chicago.comcast.com/) serves customers in Central and Northern Illinois, including the Chicago area, Northwest Indiana and Southwest Michigan. “Like” Comcast’s Greater Chicago Region on Facebook by visiting @Comcast. “Follow” Comcast’s Greater Chicago Region on Twitter at @ComcastILLINOIS.